Jeffrey Brown is the Josef and Margot Lakonishok Endowed Professor of Business and Dean of Gies College of Business at the University of Illinois at Urbana-Champaign. Jeff Brown also serves as a professor of finance and was the founding director of the Center for Business and Public Policy. Jeff is co-director of the Disability and Retirement Research Center at the National Bureau of Economic Research (NBER) in Cambridge, MA; a trustee and chair of the Investment Committee for TIAA; a member of the Governing Board of the Center for Audit Quality (CAQ); vice chair of the Board of Managers of UI Singapore Research LLC; and a member of the Advisory Board of the Urban Institute/Brookings Institution’s Tax Policy Center. Michael Davis is head of U.S. institutional defined contribution plan specialists for Global Investment Services (GIS). In this role, he leads the team responsible for expanding the firm’s reach and strategic engagement capabilities in the U.S. institutional defined contribution investment only (DCIO) segment. He is a member of the GIS leadership team and plays a key role in guiding the group’s U.S. DCIO strategy. 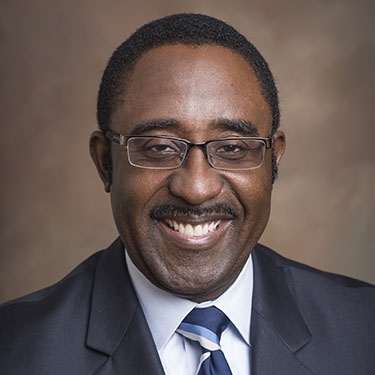 Mr. Davis is a vice president of T. Rowe Price Group, Inc., and T. Rowe Price Associates, Inc.
Diamonte joined United Technologies Corp. as Chief Investment Officer in December 2004. She is responsible for overseeing UTC’s $52B in global retirement assets. This includes $24B in domestic pension plans, $7B in foreign pension plans and $21B in the defined contribution plan. Diamonte serves on UTC’s Finance Council and is a trustee on pension committees in the US and the UK. Prior to joining UTC, she spent thirteen years with Verizon Investment Management. Jason J. Fichtner is a Senior Lecturer and an Associate Director of the Master of International Economics and Finance (MIEF) program. Fichtner first joined the SAIS faculty in 2011 as an adjunct professor, teaching courses in public finance and cost benefit analysis. Previously, he was a senior research fellow at the Mercatus Center at George Mason University. Mark Iwry (pronounced “Eevry”) is a Nonresident Senior Fellow at the Brookings Institution, and former Senior Advisor to the Secretary of the Treasury and Deputy Assistant Secretary for Retirement and Health Policy at the U.S. Treasury Department. He was previously Treasury’s Benefits Tax Counsel, Nonresident Senior Fellow at the Brookings Institution, a partner in the law firm of Covington & Burling, Of Counsel to Sullivan & Cromwell, and Research Professor at Georgetown University. David C. John is a senior strategic policy advisor at the AARP Public Policy Institute (PPI) focusing on pension and retirement savings issues. PPI is AARP’s internal think tank. John also serves as the deputy director of the Retirement Security Project (RSP) at the Brookings Institution. RSP focuses on improving retirement savings and income in the United States, especially among moderate and low income workers. Prior to joining AARP, John was also a senior research fellow at The Heritage Foundation for 14 ½ years. Elizabeth Kelly serves as SVP of Operations for United Income, which uses technology to provide holistic financial planning and money management services for people nearing or entering retirement. Prior to joining United Income, Elizabeth served as Special Assistant to the President at the White House National Economic Council. In that capacity, she led White House engagement with federal agencies and external partners to develop and execute the President’s retirement security, financial inclusion, unemployment insurance, Puerto Rico, and sustainable capitalism agendas. For her work, Elizabeth was chosen as one of Forbes 30 Under 30 in Law & Policy. Michael P. Kreps is a principal at Groom Law Group, where he counsels employers, plan sponsors, financial institutions, trade associations, and coalitions on retirement, health, tax, and employment matters. Mr. Kreps specializes in issues relating to public policy, fiduciary responsibility, and plan funding and restructuring. Previously, Mr. Kreps served as the Senior Pensions and Employment Counsel for the U.S. Senate Committee on Health, Education, Labor, and Pensions from the 110th through the 114th Congresses. Anne Lester is a portfolio manager and Head of Retirement Solutions for J.P. Morgan Asset Management’s Global Investment Management Solutions where she is responsible for advancing the firm’s market-leading retirement investment product offering and thought leadership. Ms. Lester has also been responsible for the development of the firm’s defined contribution asset allocation strategies including the JPMorgan SmartRetirement target date funds and the firm’s Dynamic Withdrawal strategy. Lisa Massena, CFA, is vice president of business development at Ascensus, within its Government Savings division. In this role, she partners with states and governments that are in the process of developing and implementing retirement programs to address the retirement savings gap of residents. She is also responsible for establishing industry partnerships and collaborating to build government-based programs to support retirement savings.Lisa brings more than 30 years of financial services and investment management experience to this role. She previously served as executive director of OregonSaves, where she led the launch of the nation’s first state-sponsored retirement program for private sector employees. Phil Waldeck is President and CEO of Prudential Retirement, a business unit of Prudential Financial, Inc. (NYSE: PRU), and a leading provider of defined contribution, defined benefit, nonqualified deferred compensation plan administration, and institutional investment and risk management services with assets under management in excess of $365 billion. Waldeck leads Prudential Retirement as it aims to transform the retirement landscape with progressive and responsive solutions for public, private, and nonprofit organizations, as well as products and services to make long-term financial security a reality for millions of individuals. The business holds top-tier market positions in Defined Contribution (DC) recordkeeping and administration, Stable Value investing, guaranteed lifetime income solutions for DC plans, and Pension Risk Transfer and longevity reinsurance strategies. Stephen Wendel is a behavioral scientist who studies financial behavior and how digital products can help individuals manage their money more effectively. He serves as Head of Behavioral Science at Morningstar, where he leads a team of behavioral scientists and practitioners to conduct original research on saving and investment behavior. Stephen has authored two books on applied behavioral science, Designing for Behavior Change and Improving Employee Benefits, and founded the non-profit Action Design Network, educating the public on how to apply behavioral research to product development with events in ten cities. Ida Rademacher is Vice President at the Aspen Institute and Executive Director of Aspen financial security program – a leading national program dedicated to solving the most critical financial challenges facing America’s households and to shaping policies and products that enable all Americans to become more financially stable and secure. Ida combines a passion for creating deeply shared prosperity with a background in consumer insights and policy research. Her expertise on a range of consumer finance, retirement and tax policy topics makes her a frequent resource for journalists and policymakers at all levels of government. Previously, Rademacher served in research and leadership roles with Prosperity Now (formerly CFED), the Center for Applied Behavioral and Evaluation Research at AED, and the Aspen Institute economic opportunities program. She currently serves on the board of Common Cents Lab, EARN and the Financial Clinic. Karen leads CFSI’s growing work and strategy in the retirement space, including multiple research and thought leadership projects focused on deepening the financial services industry’s understanding of the complex financial health challenges facing financially vulnerable pre-retirees and retirees alike. Karen is currently a Senior Fellow at the Aspen Institute Financial Security Program, where she leads the Aspen Leadership Forum on Retirement Savings. A ten-year veteran of CFSI, Karen led the development of our Financial Health Network, a community of over 150 financial services innovators committed to building products, services, and engagement models that generate improved financial health outcomes for consumers. She serves as a senior consultant in CFSI’s consulting practice and specializes in advising the largest financial services brands in the country – including mega- and regional banks, payments networks, asset managers, and insurance companies — on their financial health strategies.